Background: Young Artists is a platform for young artists and curators organized annually by Sariev Contemporary, Plovdiv. 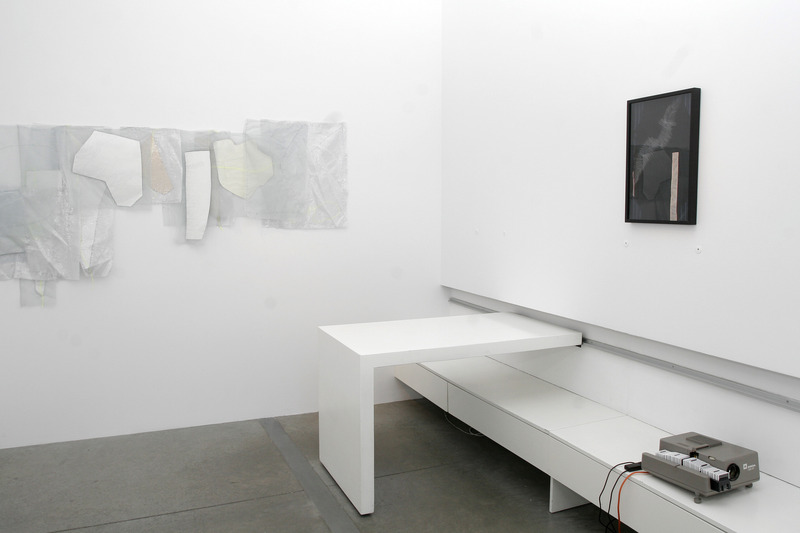 The platform’s shows and events take place in the gallery’s exhibition space as well as in public spaces throughout the city. 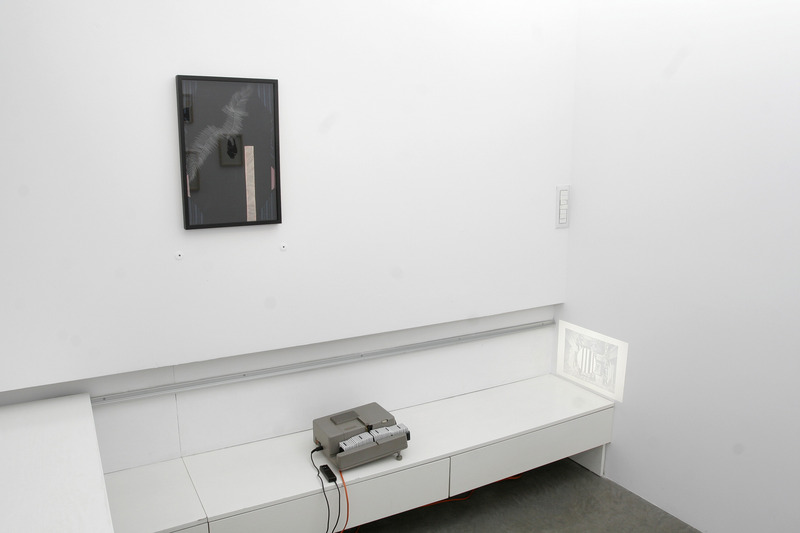 The following artists have been featured in previous editions: Kiril Kuzmanov and Svetoslav Michev (2010, curated by Vladiya Mihaylova), Lubri (2011, curated by Vera Mlechevska) and Zoran Georgiev (2012, curated by the artist Pravdoliub Ivanov). In 2013, Background: Young Artists presents the Bulgarian-born Germany-based artist Daniela Georgieva (b. 1979, Plovdiv) and her first solo show in Bulgaria, „Rooms and Knots“, curated by the German curator Friederike Schuler. The introductory text for the exhibition has been written by Friederike Schuler. 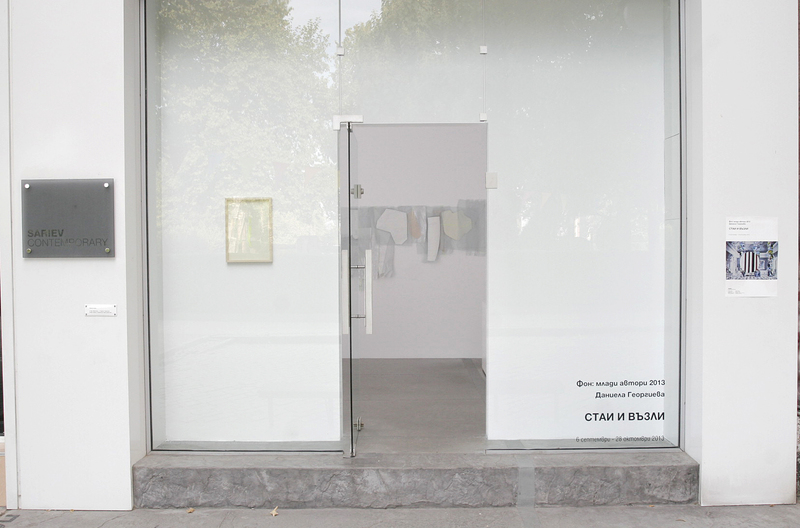 „Rooms and Knots / Knots and Rooms“ should be read not just as the title of Daniela Georgieva’s first solo-exhibition in Bulgaria, but also as a recurring motif and connecting theme in her overall artistic practice. 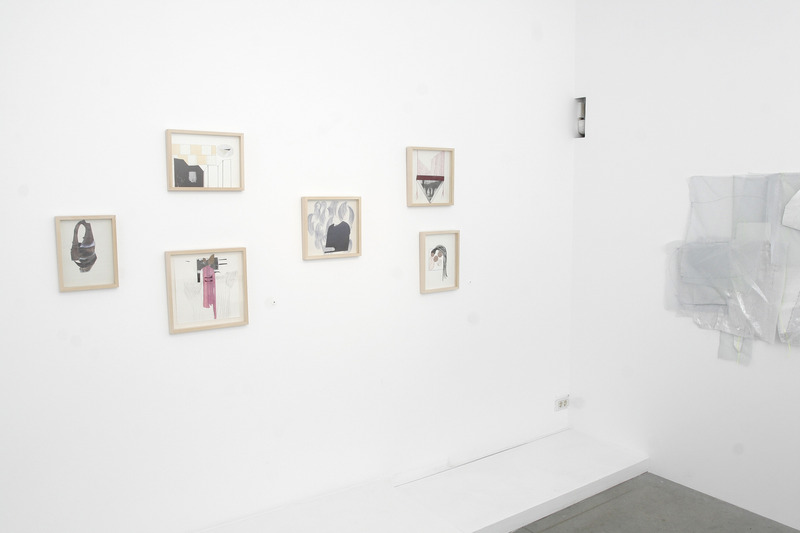 In her paperworks, for example, Georgieva combines drawings with magazine and other kinds of cut-outs, while in her installations she often works with overlays of fabric or plastic, as well as with cord, wool and similar binding material. 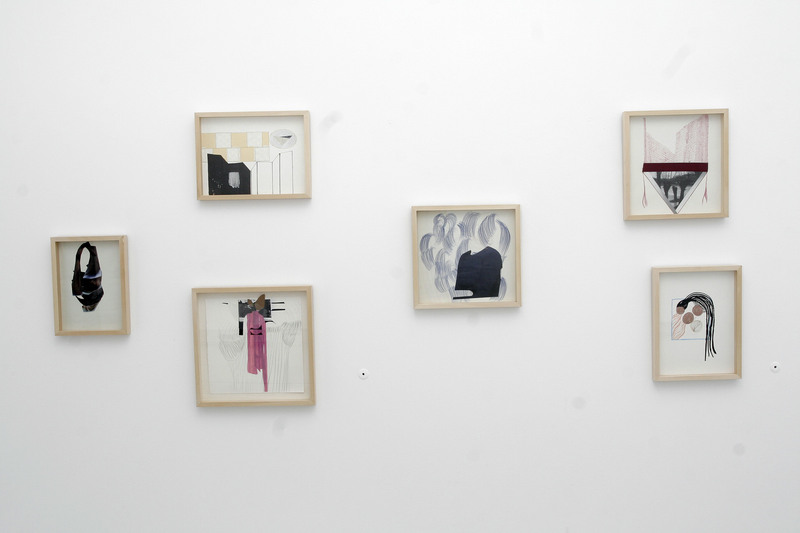 Her photographs and films merge ready-made images and motifs with arranged scenes and collages of paper or fabric forms. 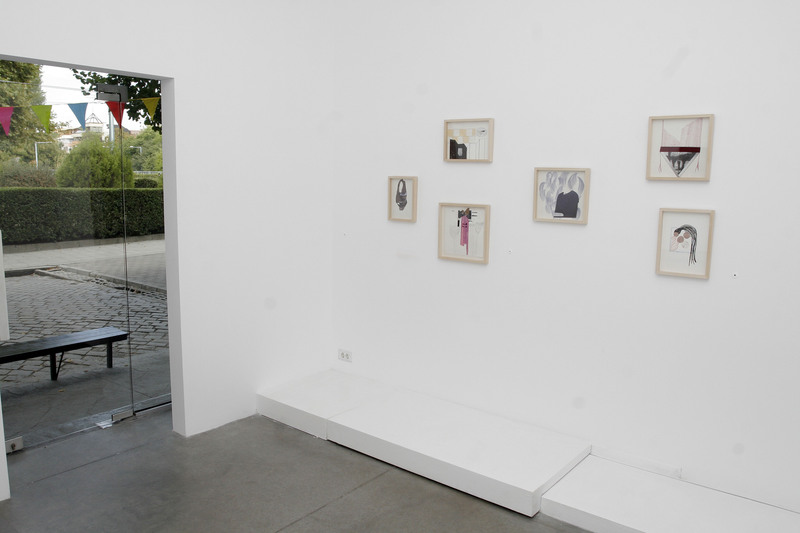 So „knots“ in Georgieva’s work are, on the one hand, literally knots (most often found in her installations and fabric-based works), but, on the other hand, the term describes the overlaying of different techniques and materials and the recurrent use of the collage principle. In some of her more recent works, filigree structures evoke hair, leaf veins or feather-like forms. In a formal sense, these serve as abstract ideas for the composition, but they also lead us onto individual paths of association. In a 2012 paperwork a photograph of a striking red rhubarb plant is cut out from a magazine and equipped with brown paper tentacles resembling roots. With their dense grid-like shading, the hand-drawn forms in pastel shades are reminiscent of fungal mycelium reaching out into the earth. In a drawing containing a characteristic navy-blue magazine cut-out (which on closer inspection turns out to be a cardigan) surrounded by bundles of lighter crayon lines, the artist creates a strong tension between these two forms. At the same time, the work evokes a human torso against a background of disembodied hair. Both paperworks deal with the fundamentals of human and vegetal existence. They stand in opposition to Georgieva’s striking, seemingly simple photography and films, in which collage methods are also used. 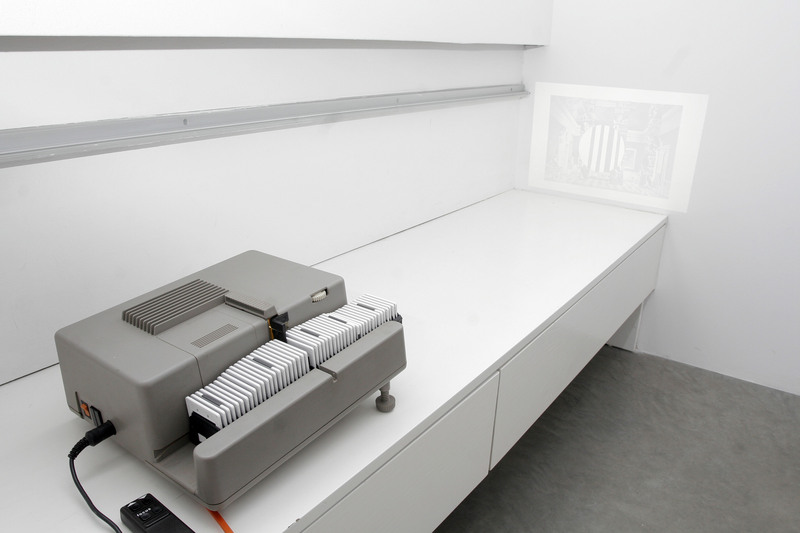 In her slide-projection „rooms“ – from which the second part of the exhibition title comes from – she creates a formal and thematic counterpart to the paperworks. 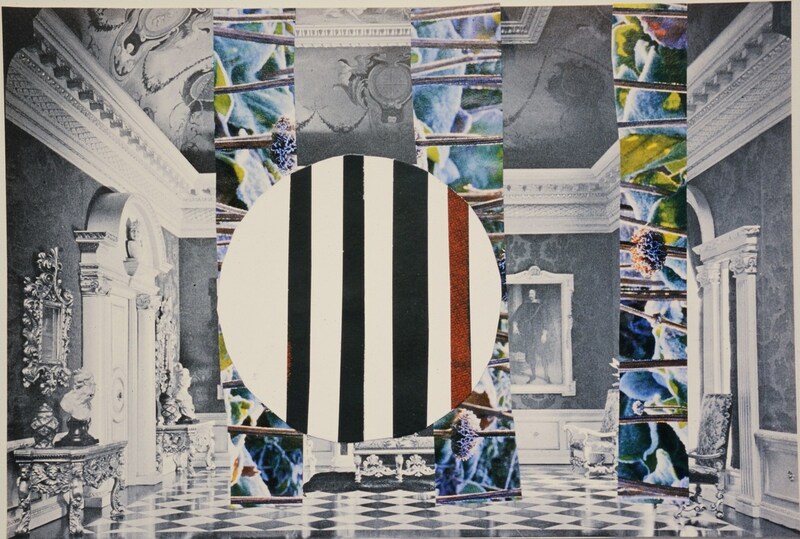 Historic b/w photographs of 16th and 17th century interiors serve as a basis for collage interventions. 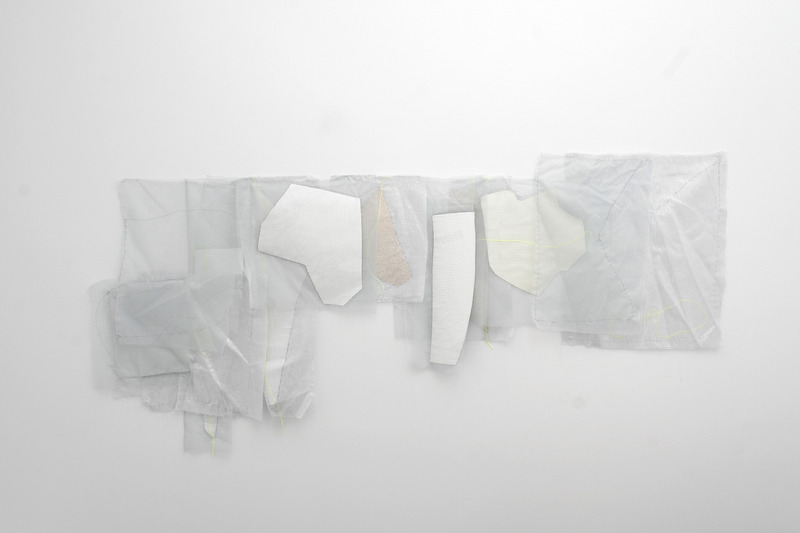 By using fragments of previously made own works (drawings, fabric-based works, collages) as well as other found materials, the artist interweaves different periods of her artistic practice. Besides this, Georgieva uses film and photography in order to create and re-enact „real“ images. The techniques of collage and overlay, for example, manifest in the red-tinted piece of fabric that completes the b/w photography of a female lap, making it even more striking. A second photograph, which also uses a bird’s eye view, captures the necks and lowered heads of two women sitting on their knees. Here the collage principle operates more in the arrangement of the two figures against a background of silver foil. The scene is a freeze-frame from Georgieva’s film „St. Greta Weird War“, where she combines moving images with the music of her own band, St. Greta. The overhead view in both photographs provides the viewer with a hyper-elevated position from which the figures seem even smaller. In thе second work, it is difficult to judge whether this is a gesture of humility, or whether the girls are somehow doomed or not – a look at the film might help answer these questions. But a sense of fragility is clearly present – the neck is a vulnarable part in both human beings and animals and it is no coincidence that many animals carry their babies by the neck. These different works demonstrate Daniela Georgieva’s virtuoso use of the principles of knotting and overlay, as well as the inter-relations between these two practices. Through the artist’s individual handling, the main themes of her oeuvre – human and vegetal life – are elevated to a general statement on natural necessities and sensitivities. Daniela Georgieva was born in 1979 in Plovdiv. She graduated from the Kunstakademie Duesseldorf, Germany, where she was a Meisterschueler of Professor A. R. Penck. She lives and works in Duesseldorf. Shows and Performances: Kunstverein für die Rheinlande und Westfalen Düsseldorf, Kunsthalle Düsseldorf. Purchases from private collections in Chicago, Berlin, Bonn and Düsseldorf. 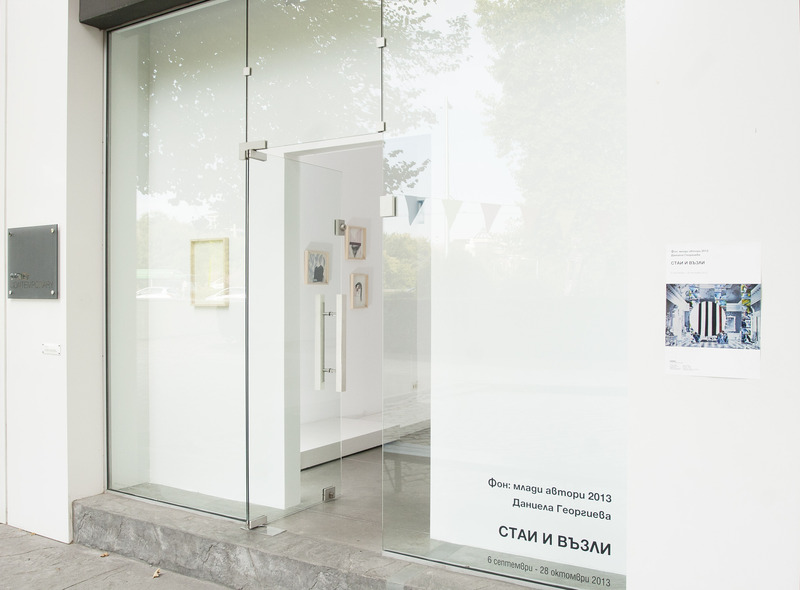 The exhibition is supported by the State Institute for Culture at the Ministry of Foreign Affairs, Republic of Bulgaria. Opening: 6 September (Friday), 7:00 p.m.